I read this article and found it very interesting, thought it might be something for you. The article is called Coachella Survival Guide and is located at https://www.thesouldynamic.com/coachella-survival-guide-how-to-make-it-three-days-at-americas-best-music-festivals/. It’s a yearly rite of passage for the young and the old. 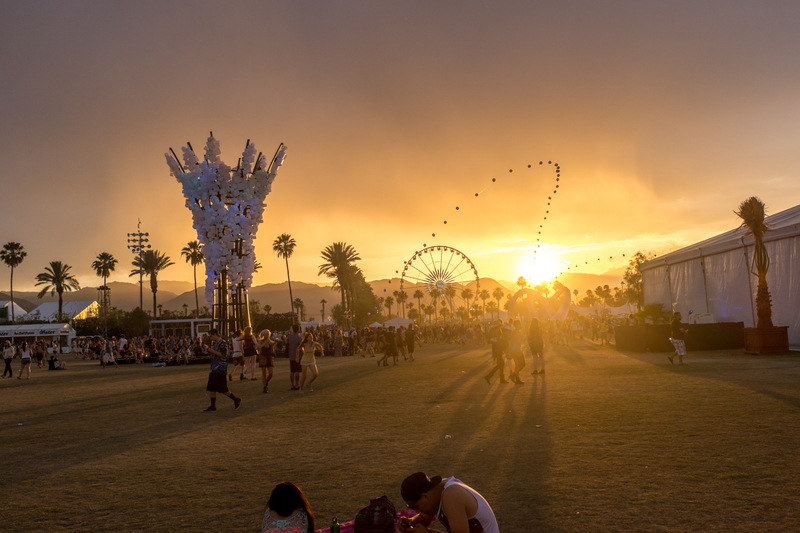 A spring awakening for the few and the proud; anyone who’s spent any time in Indio during a weekend in April understands its beauty and what it means to experience Coachella. If you’re a veteran like us; planning for this week’s adventure started a year ago. If you’re a first timer, you’re in the right place, because we’ll fill you in on what you need to know, welcome to the Coachella Survival Guide. Anything can happen out on the polo fields and the weather at the festival is pretty unpredictable. It’s usually sunny and beautiful, but in the last few years we’ve seen rain, high winds, dust storms, and high temps (over 100°F) and some effin’ cold nights. Shade is your best friend – find it! You’re out in the desert and the only trees for miles are palms, not a lot of heavy foliage if you ask us. Bring a pop-tent or shade structure to your campsite: tapestries, sheets, or towels usually do the trick helping you block the sun while you’re trying to relax. Bring enough food for breakfast and easy snacks since that tends to be when you’re at camp. Keep it simple and do most of your heavy lifting for lunch/dinner on the festival grounds. Spicy Pie, Crab Fries, Pink’s Hot Dogs & Frozen Lemonade – Yes Frozen Lemonade, like grandma made or something like that. Don’t overdo it on the extra-curriculars or alcohol (hint, hint). Festivals are marathons, not sprints. No one wants to play babysitter or take care of you because you got too turnt up to keep the party going for four days…chill a little brah and let the good times happen my friends. You’ll regret missing your favorite act because you were too fucked up or hungover to get to the stage. Water, Agua, H2O – Dehydration in dry climates sneaks up on you. They have water stations surrounding the festival grounds, check your map before you head out and make sure you have cash on you at all times just incase you get thirsty, water’s two dollars the last time we checked. Partake in something we call the “Hard Chill” or “Disco Nap”- In order to do this you’ll have to come to grips that you’re never going to see everyone you want to see, it’s physically impossible. So relax get over it, take a seat, a deep breath, grab a beer or something else, a bite to eat maybe…chiiiiiillllll and let the music hit you. Before you know it the next band or DJ you’ll want to see will be on stage and you’ll have the energy to get back in the party. Stick together! 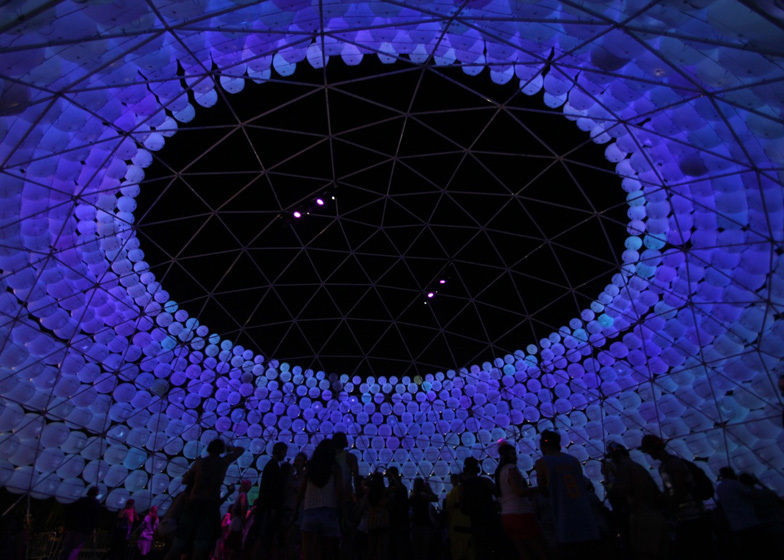 Festivals are way more fun when you’re with friends, new or old. Be friendly! 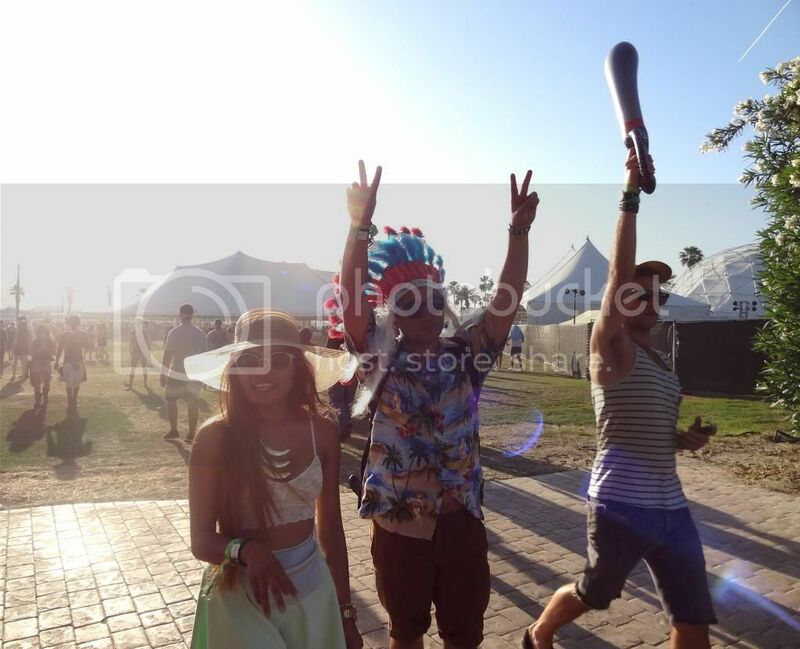 People at Coachella are typically outgoing, so don’t be scared to strike up conversations with strangers. 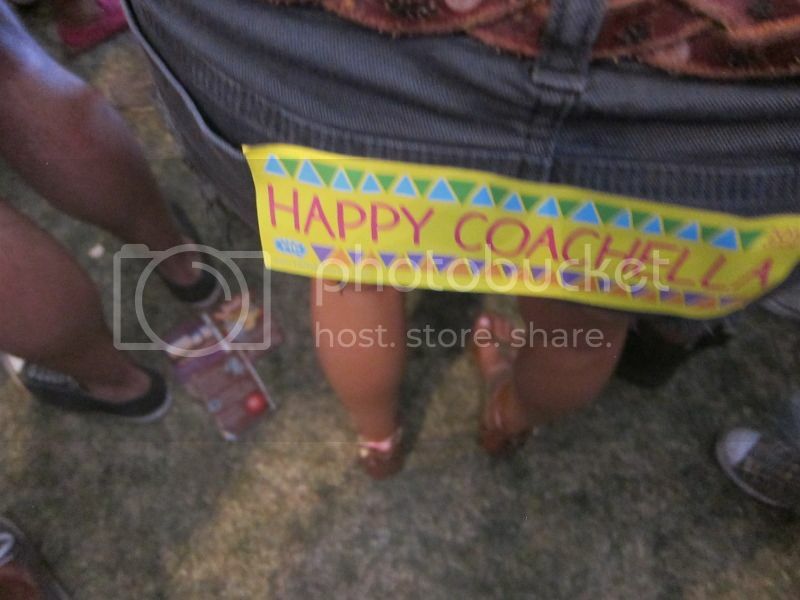 Feel free to yell out “HAPPY COACHELLA!” or put your hand up for random high-fives. The main stage and outdoor stage have speaker towers labeled A1, B2, etc. These make great meeting points. Pick up after yourself. You’re sharing a campsite with a bunch of other people and we’re not your maid. Respect your campmates’ quiet time. They’re all sharing sleeping space, so please don’t be wasted and belligerent at 4am. The music in the main venue ends around 1am while the campground stays alive until the wee hours of the morning, if you’re a night owl you’ll be able to find stuff to do. Two words – Silent Disco. Put on your happy face. You’re at one of the best music festivals in the world surrounded by friends and fellow music lovers! Don’t forget you’re here to have fun and listen to amazing music! round 3 together… lets do this!